In 2018, we helped 1,142 Londoners – an 8% increase on the previous year. 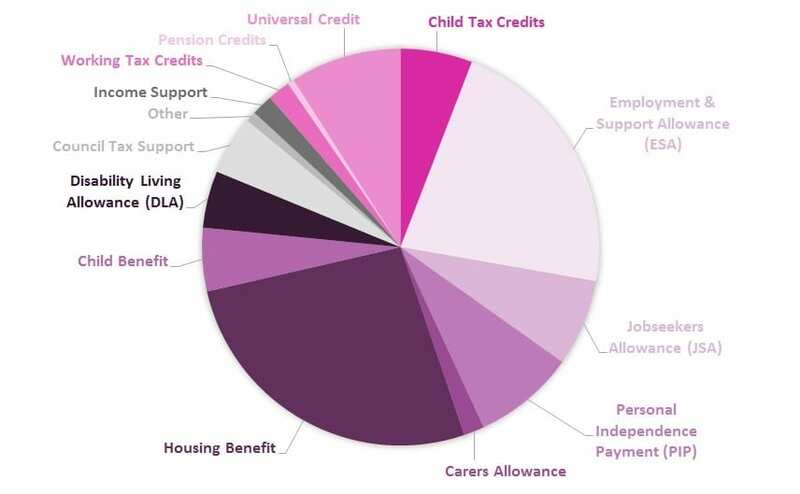 This figure cuts across all the different service delivery projects, including people for whom we may give advice only. In line with our holistic, client-centred model, we always have more cases open than clients, because most clients will have multiple cases concerning different types of benefits, housing matters, additional support needs. The number of cases we had open in 2018 was 1,648. The total financial benefit to our clients was just over £3 million, compared to £2 million in 2017. The majority of our clients came from Westminster. 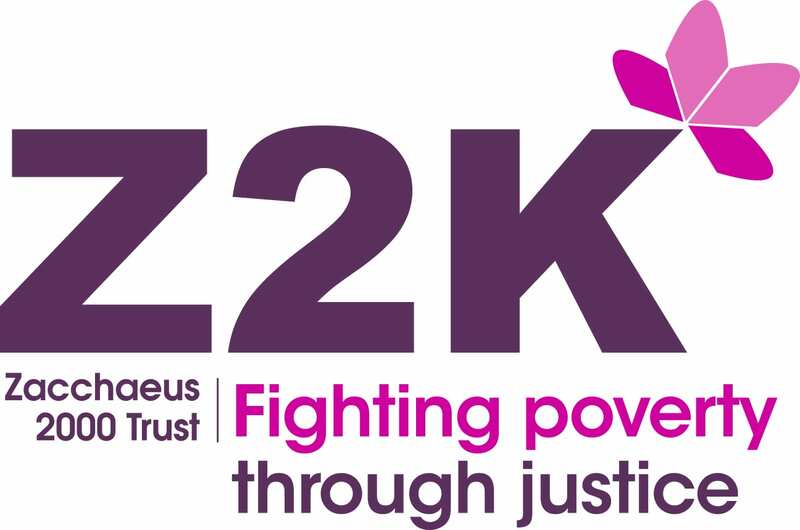 The map below shows the reach of our small charity, and the demand for services like Z2K. 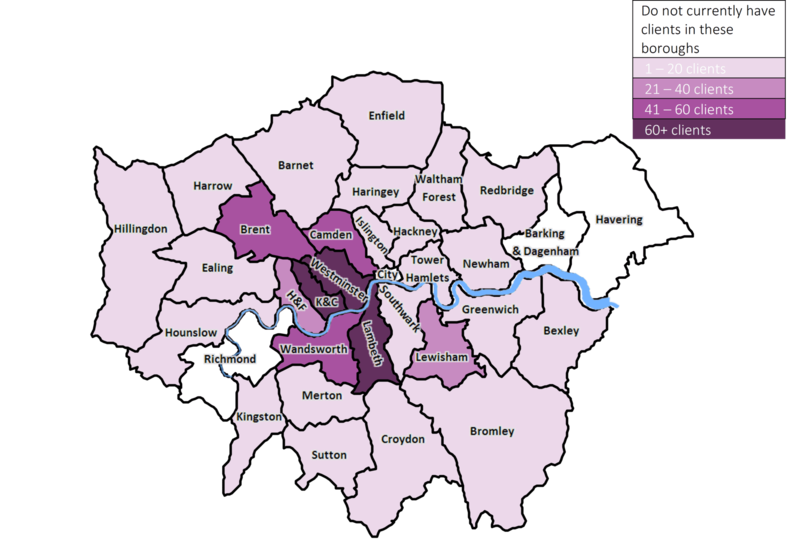 Additionally, this means that our client’s voice in our campaign and policy work represents nearly every borough in London. Alongside our casework, we have worked tirelessly to campaign with and on behalf of low-income Londoners to improve the social security system. In June 2018, we launched Access Denied – a report which used client stories and experiences to demonstrate faults in the disability benefits system. By working directly with clients on our policy messages, we were able to attract both media and parliamentarian interest. Access Denied received really good coverage on Channel 4 News and BBC London and since then we met with Frank Field in his role as Chair of Work and Pensions Select Committee. We gave written and oral evidence to the Work and Pensions Select Committee regarding the benefit cap. We continue to oppose the cap on principle but are particularly concerned about its application to people who are not expected to work – for example those claiming Employment Support Allowance. This message was heard clearly by the select committee members and we continue to push this message in our campaigning. We helped secure the support of hundreds of Hackney’s unemployed residents in a campaign against the proposed cuts to Council Tax Support for its 27,000 working-age claimants. As a result, the Mayor agreed to scale back the cut and even established a £100,000 Hardship Fund for claimants struggling with their bill.